Former Sunderland defender Jonny Evans has backed the Black Cats to prevail in the survival battle, despite falling four points adrift of safety. Evans helped West Brom limit Sunderland to a solitary point in Saturday's Stadium of Light stalemate, which may not be sufficient to keep Sam Allardyce's men in the top flight. Sunderland's draw, coupled with Norwich's win over relegation rivals Newcastle, increased the gap with the fourth bottom Canaries to four points, albeit the Black Cats boast a game in hand. But Baggies centre-half Evans - who had two successful loan spells at Sunderland - still believes Allardyce's side can beat the drop. "Staying up would be massive for them and I fancy them to do it," said Evans. "You saw the atmosphere they generated, it was very good and put the referee under ­pressure right from the first minute and you need that. "The fans know they have a big part to play in keeping Sunderland up." Sunderland head to Norwich City in a fortnight for a potentially make-or-break game in the survival hopes of both clubs. And boss Allardyce hopes Sunderland can arrive at Carrow Road having narrowed the gap to safety, with the Black Cats facing league leaders Leicester this weekend, while Norwich travel to Crystal Palace. Allardyce said: "What we don’t want to do is let that gap get any bigger. We have to try to reduce it before we play them." Former Spurs boss Harry Redknapp believes Sunderland can pin an upset against Leicester, despite the Foxes extending their lead at the summit to seven points with victory over Southampton yesterday. "At this stage of the season I cannot think of many tougher teams to play than a Sunderland side fighting for their lives," Redknapp told the Daily Telegraph. "Sunderland seem to have been written off and I really do not know why." 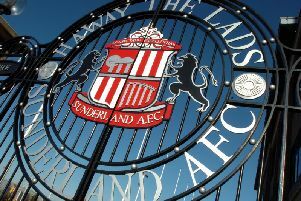 Meanwhile, it was also a frustrating weekend for Sunderland Under-21s, despite increasing their lead at the top of the table to five points after a 2-2 draw against Southampton. Sunderland have only one game remaining, yet second placed Manchester United boast five games in hand - starting with tonight's clash against Chelsea.